Apple iPhone is more than a device, it is an extension of one’s self and style. With the announcement of iPhone Xs and iPhone Xs Max, now is the perfect time to accent iPhone with something that makes it uniquely yours and protects it from the daily grind. OtterBox, the No. 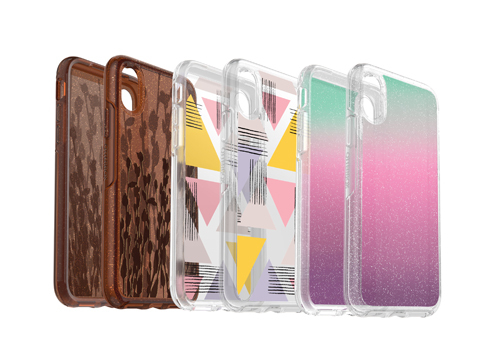 1-most trusted in cell phone case protection,1 offers a full portfolio of style, color and graphic case options available now for iPhone Xs and iPhone Xs Max and coming soon for iPhone XR. Cover iPhone Xs, iPhone Xs Max and iPhone XR with protection ranging from trendy and slim to rugged and burly – plus everything in between.2 The OtterBox line-up continues to evolve with every iPhone generation. For example, this year the Symmetry Series case is slimmer than ever – without compromising trusted OtterBox protection that everyone knows and loves. 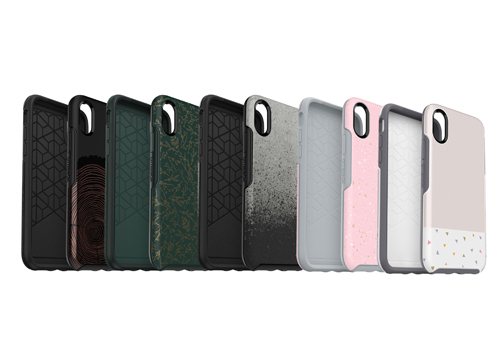 Each iPhone Xs, iPhone Xs Max and iPhone XR case design undergoes a minimum of 24 tests across more than 238 hours to earn the OtterBox Certified Drop+ Protection seal. These tests ensure lasting protection from drops, bumps, scratches and dings. Symmetry Series has been redesigned with a slimmer form and easy-push buttons and comes in a broad array of colors and graphics in a sleek, one-piece design. With an ultra-slim form, Symmetry Series is the perfect fashion statement to slide in and out of pockets. Defender Series offers rugged protection for iPhone X, iPhone Xs Max and iPhone XR. The multi-layer design absorbs and dissipates shock, while port covers keep dirt and debris out. Available in a wide variety of colors and build-your-own options. Pursuit Series is OtterBox’s thinnest, most protective case with protection against drop, dust, dirt and snow intrusion. The two-piece design seals together around iPhone and features audio scoops, a sealed camera opening and an included lanyard to tether it to your arm. Crafted for luxury seekers, Strada Series Folio features a genuine leather cover, magnetic front clasp and folio design to keep the screen from scratches. The inside cover offers a card slot ideal for holding a credit card and ID. Thin, protective and ready to go, Commuter Series is perfect for the everyday trek to work. The outer shell and inner slipcover absorb shock and stay slim, while port covers keep dust out of ports. Available in a wide variety of colors and build-your-own options. All OtterBox cases are compatible with Alpha Glass fortified screen guards. Alpha Glass guards against scuffs, scratches and dings to the brilliant display on iPhone Xs, iPhone Xs Max and iPhone XR. Commuter Series is available for both iPhone Xs and Xs Max for P1,650 and P2,250 respectively; Symmetry Series for P2,350 (Xs) and P3050 (Xs Max); and Defender Series for P3,150 (Xs) and P3,950 (Xs Max). Pursuit, Strada Series Folio, and Alpha Glass are also available now for iPhone Xs and iPhone Xs Max and are coming soon for iPhone XR. For more information, visit www.otterbox.asia.